Florence is a feminine perfume by Tocca. There are 7 reviews of Florence. I adore this Florence. There are hints of pear and apple in here if your patient enough to wait for the dry down. Vibrant white florals with a hint of violet, but I wish there was more of it. Florence reminds me of going to the florist and sniffing all the various blooms. Currently I don't have a frame of reference to compare Florence with another perfume. 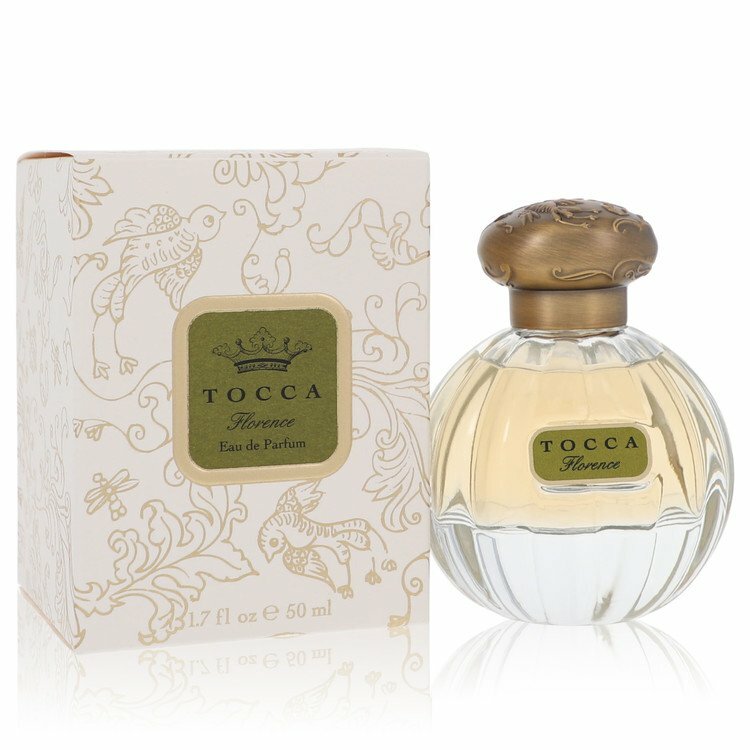 Tocca describes this as more of a Parisian perfume and scent rather than Italian, and I agree. Tocca’s Florence is best described as a very soft, fluffy floral iris root composition. It opens that way, and runs an apparently linear course for quite some time thereafter. I don’t get much of the listed bergamot top note, but there is a cold violet note at its center and some delicate sandalwood in the light, powdery base. Florence, to my mind, is a very simple scent. It is conspicuously soapy, relatively bland, and highly transparent. It leaves me with a distinct impression of freshly washed linens drying on a line on a sunny day. Unfortunately it’s a slippery slope from line dried linens to fabric softener, and I’m not entirely able to keep my footing. There’s also an oddly barren, lifeless quality about Florence that makes me think it would appeal to an embittered spinster: one who fit a certain image of pretty, but was prim, repressed, and at least mildly inhospitable. Not my thing, I’m afraid, but not necessarily because of any failings on its part. Smells like an old lady? That's just ridiculous and ageist. I find older women have better taste in fragrances so some of us would do well to pay attention. And honestly, there's nothing old lady-like about FLORENCE by Tocca, an unapologetic feminine floral which needs no excuses for being one. I'd love to smell this on a woman. To me it feels young and fresh, like a day scent and not the heady Lauder-style bouquets. While I can appreciate any reference to fabric softener it does not detract from the soft wearable aspect of the scent, with a purity about it that recalls the child-like innocence of Tommy Girl. Florence really comes off more like an old world Parisian fragrance instead of old Italy! The opening of violet petals and vivacious bergamot is lively, young and fresh! Sweet as well. IMO you have to like violets to enjoy this scent. While I'm not a big violet fan, I do think this is a very good product...the dusty iris compliments the sugary topnotes just fine! Excellent sillage and longevity. I got the sample today and although I like sweet scents. I found this to be assaultingly sweet in the floral department. Its just not a very youthful smell AT ALL. Its a very potent perfume. I found it to remind me of walking into my grandmas powder room complete with old dusty wigs. Just bad! I definitely agree with starskyee, this is so much like Michael Kors. I just recently purchased these two samples in a bundle and found them extremely similar and I have to say....YUCK!!!!! I don't find anything pleasant about either of these nor do I like strong florals, so there ya go. My husband also told me I smelled like an old lady, which isn't a good thing in my opinion. There are no member images of Florence yet. Why not be the first? NEW: Tocca - Florence Hair Fragrance For Women!